The recent changes in the commercial aviation market leading to its gradual recovery from the global financial crisis have had an ambivalent effect on in-flight catering providers. On the one hand, the rising number of aircraft in the industry has created a growing demand for on-board catering services. On the other hand, the way catering providers operate could not remain the same as it had been prior to 2008, since the pressure to cut down expenses has led airlines to re-think their business models. In the market where outsourcing seems to be a solution largely favoured by airlines, catering providers had to come up with ways of adapting and re-qualifying in order to survive. 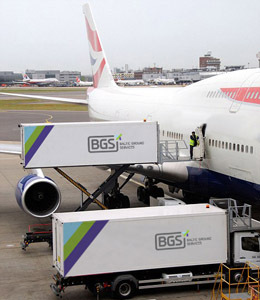 Although the on-board catering market, being largely dependent on the overall development in the aviation industry, has benefited from the current rise in passenger traffic, it cannot be said, that in-flight catering providers haven’t felt any downsides of the changes in the aviation market. The latter were mostly related to the viability of business models of low-cost carriers, which have chosen to cut down on some of the in-flight services and switch to third-party catering providers. At the same time, according to the ITCA, the quality of in-flight catering remains one of the top priorities for passengers when selecting the airlines, so it is natural that in the highly competitive airline industry the competition among catering companies remains as high as ever. With the airlines striving to keep their plains in the air for as much time as possible, every minute spent on the ground costs money. And when it comes to a system as complex as in-line catering, the need for optimisation cannot be overestimated. In the current market scenario, in-flight catering providers are adopting practices from other areas to enhance their productivity. Lean manufacturing, budgetary control, just-in-time production and IT-management systems are just some of them. Not to mention such important ground handling functions as transportation which involves moving meals from the production unit and storing them on-board. Moreover, the catering market is experiencing growth with approximately 300 service providers operating globally, which only raises the competition for developing efficient management procedures and tools that would capture the carriers’ attention. “Although some industry giants occupy almost 40% of the market, offering the capabilities of a global network, it can be a smart decision to reduce the number of elements in the supply chain, offering flexibility and speed instead. Accurate demand forecasting can also help a provider to reduce potential losses, caused by perishable food items, thus creating a viable and competitive business model. The recovering airlines have luckily begun to notice the positive sides of outsourced in-flight catering services, which can raise their profitability from ancillary revenues. Needless to say, well-managed cooperation can be of benefit to both, airlines and catering service providers,” says Linas Geguzis.